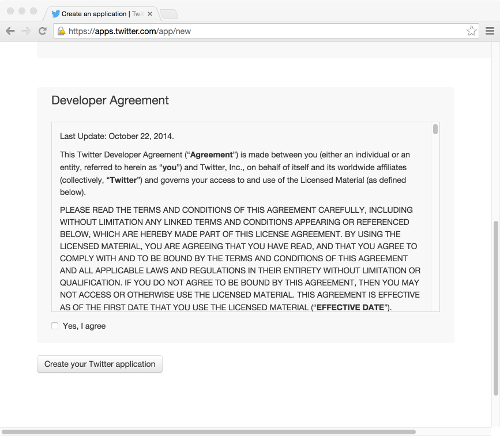 You will need a registered Twitter account. Although I included it as a requirement at the top of this page, this is the part where you will need it. 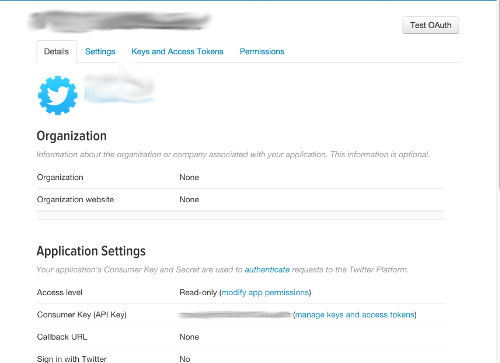 Before you can continue, make sure you have a Twitter account! 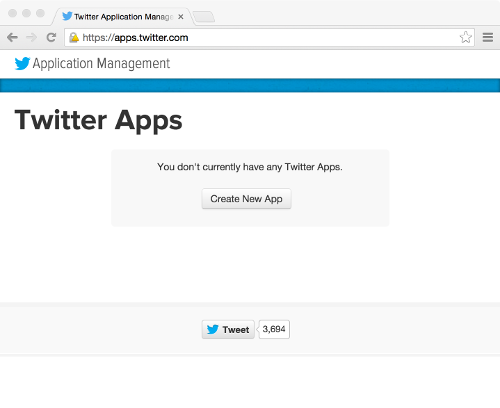 After logging into your account on its website, proceed to apps.twitter.com. 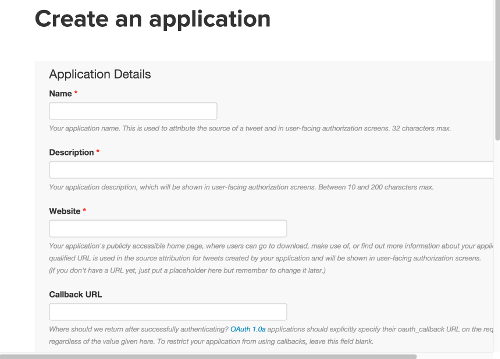 This is where you will register your app, get your API information, and control how your application works. In the same folder your created and installed the Node-TwitterBot module into, either copy the following code or download the file directly from GitHub. 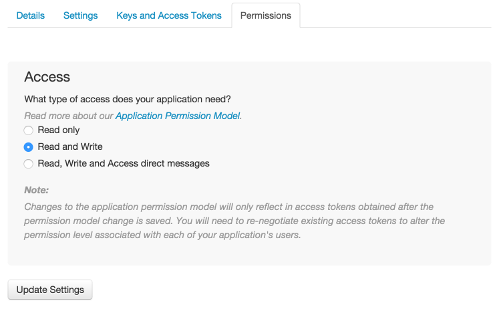 Within the configuration section of the code, fill in each of the four items it needs: Consumer Key, Consumer Secret, Access Token, and Access Token Secret. Congratulations. You have now created a very basic Twitter bot capable of posting tweets from your Node.js code. To do that, we need to consult the documentation of the Node-TwitterBot module and see what else it can do and how we might proceed in creating something more. For example, instead of calling the Bot.tweet function repeatedly, we can setup actions for the bot to take and then call them instead. And, when using something like the setInterval function to create an infinite loop, we can have our bot post content every few minutes to a feed.